Tired of competitors stealing your business? Stand out and ABOVE the crowd with our new 77 ft. long and 19 ft. tall Extreme Rush Obstacle. Customers will be amazed by this incredible Obstacle. (Pictures don't do it justice!) 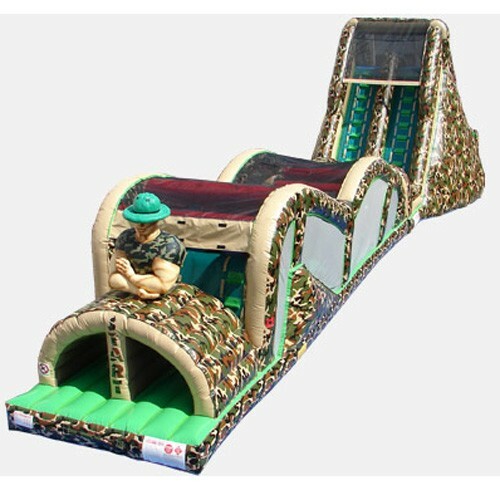 The unit splits into two very manageable pieces that can also be rented separately, with the slide weighing 565 LBS and the game at 430 LBS. The Extreme Rush Commercial Obstacle Course is the perfect unit for you rental business, church, school, or other organization.